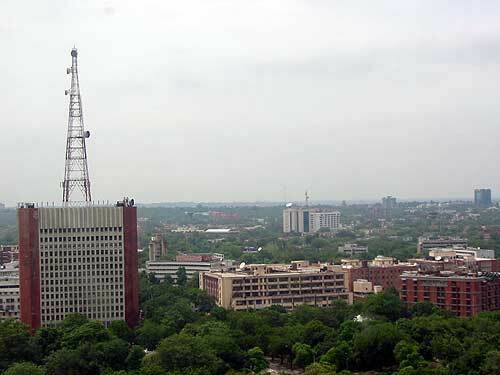 NEW DELHI: All India Radio (AIR) has introduced digital radio technology in the AIR Network by installing new state of the art Digital Radio Mondiale (DRM) Technology transmitters by replacing old outlived 37 Medium Wave/ Short Wave transmitters. Minister of State for Information and Broadcasting Rajyavardhan Rathore told Parliament however that the provisions contained in Policy Guidelines on expansion of FM Radio broadcasting services through private agencies (Phase-III) do not provide for private FM broadcasters to adopt digital radio technology. He said Digital Radio allows significant improvements in service reliability, audio quality, more radio services and higher efficiency. This entry was posted in AM, Digital Modes, DRM, FM, Mediumwave, News, Shortwave Radio and tagged AIR, All India Radio, All India Radio DRM on March 17, 2017 by Thomas. I think 99% of the population in all cities in India (where the DRM transmission is going on), did not know about DRM transmission as the DRM receivers are not made available to the people and AIR never announces about its DRM transmission through its regular analogue MW stations. Even the public relations officer of AIR is reluctant to answer my questions about the availability of DRM Receivers on my request addressed to his email: spectrum-manager@air.org.in on 3rd March 2017 and 22nd Nov.2017. I wonder how the AIR get its DRM reception report. – It cost about 200 EUR domestically through Amazon India. I can pay that out od my coffee budget, but who in India can? – It has etremely bad reception because the developers did not manage to get the digital enectronics to “keep its mouth shut”. A digital AM radio receiver can be built für 10 $ or so. For DRM you only need some more computer muscle. Chip sets for such radio sets were available. But nobody built a DRM radio in the sub 50 $ range. If it need be, they could reduce the cheapest sets to medium wave reception only. No doubt they have moved onto DRM transmitters, yet there is almost no improvement in the signal strength at many places even in India. Not just that, people don’t listen to AIR in india anymore with private channels offering more strengthened signal and productive programmes. Anyone know what the receiver pictured on the website is? Someone had mentioned that it’s actually a DAB receiver with a DRM screen Photoshopped on it. There is no such DRM receiver on the market that I know of. Oh – a PS! 4G of course being RF as well – i mean 4G in the sence of mobile internet broadcasting rather than traditional RF “radio”! I think this is all great – and very worthwhile. AIR DRM is received very reliably here in Australia (WinRadio Excalibur with DRM licence option) and 85% of the the audio is good here – on occasion there is background 50Hz hum – but of course thats a broadcasting quality and professionalism of studio & technical staff issue rather than a reflection on the actual technical attributes of DRM. Yes – careful selection of bitrate and number of channels in the RF stream is being tested. The multi-stream service I usually receive here is from Bengaluru and the text ID says it is a test transmission, so I expect they are experimenting with different digital parameters. Don’t overlook the AIR investment in DRM is for MW and SW domestic services primarily. Their main audience for this DRM investment is the domestic audience. If they are successful in seeding low cost DRM MW receivers in the local retail outlets it most likely reach mass appeal via local electronics brands like Videocon, BPL, Onida, T-Series etc. The India market is plenty large enough to support introduction of DRM regardless of adoption of DRM by international shortwave broadcasters. India media is moving very quickly, penetration of satellite TV is massive and already over 30% of radio listeners are using smart phones as the reception device rather than a traditional radio receiver. The market and demand is massive! Time will tell how all this pans out. If DRM fails in India I think it it would be most likely due to increased take up of IP broadcasting (via 4G etc) rather than any alternative RF broadcasting modality. Mark: I agree that India intends to use DRM primarily for national services and that India is a large enough market for DRM receivers. Above I declared India as the last chance for DRM. If this market creates something cheaper and especially significantly better than the Avion set, we all could gain from it. The Android receiver system that was mentioned here at SWLing repeatedly could be a good answer. But a rule of thumb in the software business is, that a project has failed if it has not been finished within three years. As long as they are developing they had to adapt to at least three major Android releases. About the sound quality of the AIR DRM service to Europe: The AF frequeny spectrum display shows a sharp cutoff at 3 kHz on both channels. Radio Romania shows that DRM can sound much better. RCI often provides 10 kHz audio bandwidth or even more in AM. That is something you can only hear with an SDR: Near VHF quality. I also hope they can improve the audio, because I have trouble hearing AIR here in the US, and even when the signal is good the audio can sometimes be poor. I’ve gotten some data from AIR’s DRM SW broadcasts before, but only text, no audio. I’m using the Dream program on a PC with an SDRplay. Here in Germany AIR produces quite good RF signals. But if a DRM signal drops out of sync the receiver needs quite a few seconds to provide any audio again. I therefore prefer AM signals with some fading. Especially if the station provides much better audio on its analog transmissions. I use the DREAM software, too. In principle DRM is an interesting technology for vast developing countries. Additionally I see India as the last chance for DRM. But many mistakes have been made, also in India. For example it is absolutely no pleasure listening to the overseas service of AIR: Their signals sound as if they feed the the transmitters through a 1.000 km analog phone line. Sometimes the signal has lots of noise in the background. Another error is to transmit a second program which forces them to use a quite high data rate which leads to many interruptions of reception. You might also remember my review of the Avion DRM receiver that I got privately from India: When you open the set you see that the developers put mich effort into shielding. They tried a lot to fill all possible holes where the RFI could escape, but did not find all of them. With the internal antenna and the original power supply I could receive next to nothing. I agree, DRM is an excellent mode for HF but it has been badly implemented by broadcasters. This is not the reason it hasn’t taken off but due to a lack of recievers/broadcasts, however narrow bandwidth with junk audio is putting the nail in the coffin of DRM. I firmly believe digital has to offer something to listener they can’t get on analogue, otherwise it’s pointless.